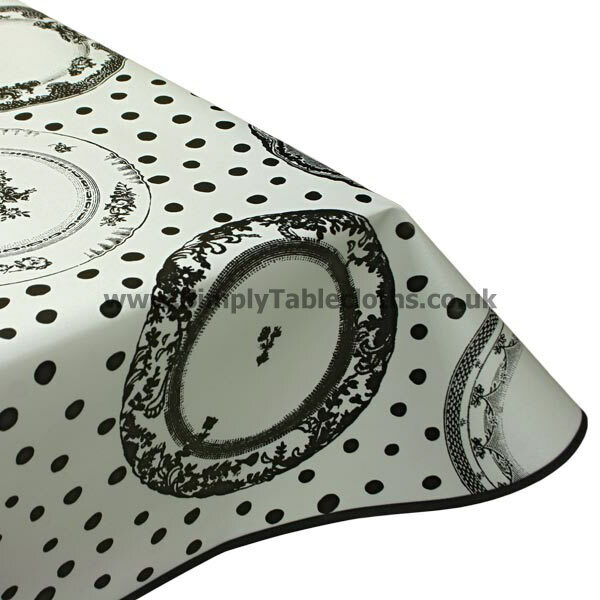 Vintage meets modern with this black and white tablecloth. The prints include antique-inspired plates with delicate detailing, along with chic black polka dots. The two juxtaposed together create a unique pattern that could be styled in numerous ways. The vinyl surface allows for an easy, wipe clean finish.